For his portrayal of these members of the crow family, which he executed in Charleston, Audubon used models taken from Townsend and Nuttall’s collection of western species. 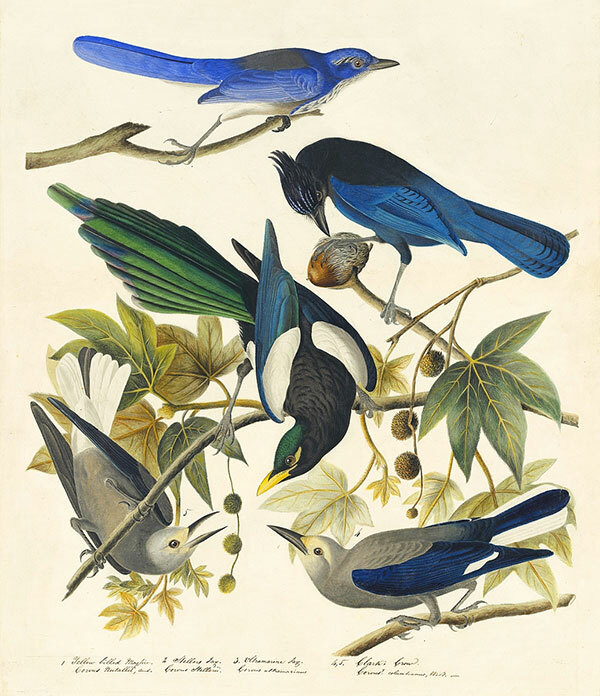 He positioned the Yellow-billed Magpie at the center with the Western Scrub-Jay at the top, below which perches the Steller’s Jay, with a pair of Clark’s Nutcrackers (a species discovered on the Lewis and Clark expedition and named after William Clark, 1770–1838) at the bottom. Maria Martin drew the sweetgum. Figure 1 is one of the 435 copper plates that Havell produced for the plates of The Birds of America. Today about 75 of them survive, four of which are in the N-YHS collection. 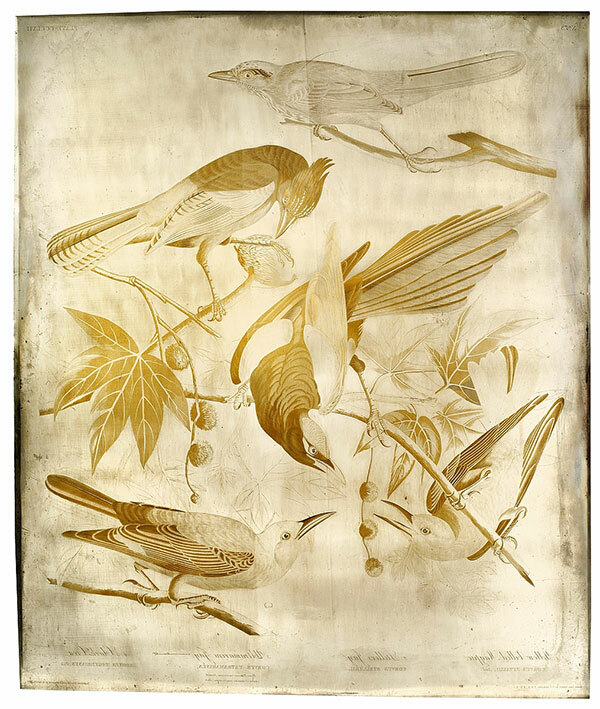 Faced with steel for preservation, they allow one to appreciate the subtle intaglio techniques of etching, aquatint, and engraving that Havell used to translate Audubon’s watercolors to the copper plate (in reverse) for printing the plates of The Birds of America. They are rather like low relief sculptures.